South Korea's health authorities said Sunday that there has been no confirmation of additional MERS patients since the first case of the deadly disease here on Sept. 8, with all suspected cases testing negative. Early this month, a South Korean man was diagnosed with Middle East Respiratory Syndrome, having returned from a three-week business visit to Kuwait via the United Arab Emirates. It is the first case of MERS diagnosed in South Korea since 2015. According to the Korea Centers for Disease Control and Prevention, 14 people who had been placed under quarantine -- including flight attendants and passengers on the same plane as the patient, medical staff and immigration officials -- have all tested negative for the disease. 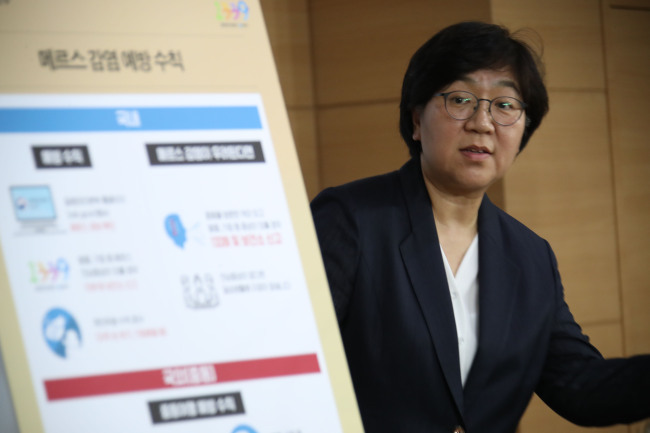 If they test negative again, all will be released as of Sept.
22 as the maximum incubation period for secondary cases associated with limited human-to-human transmission of MERS is approximately 14 days, the KCDC said. The agency said that 424 people who came into ordinary contact with the MERS patient are currently being monitored. They have not been quarantined, but they have to report their health conditions every day to officials in charge of monitoring.